Welcome to my blog and thank you for stopping by today. 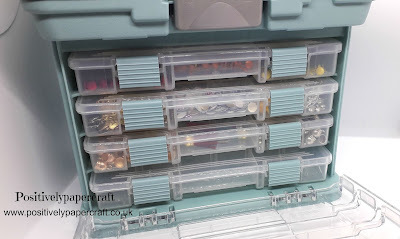 I just wanted to share this amazing craft storage box with you that i was very kindly sent from a company called Creative Options. 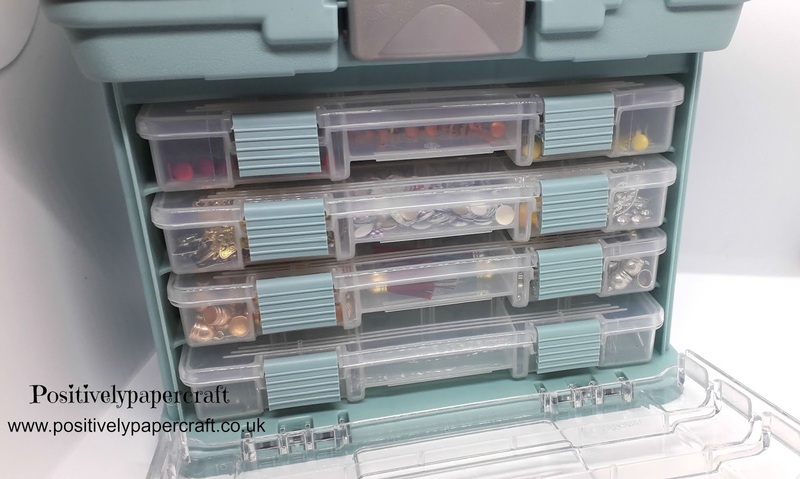 I love it and its perfect to store all of my crafty bits and bobs. I love the way that its all contained together and it saves me from going to different storage boxes to find things. The size of the box i got sent is a small and you can also get Medium and Large. 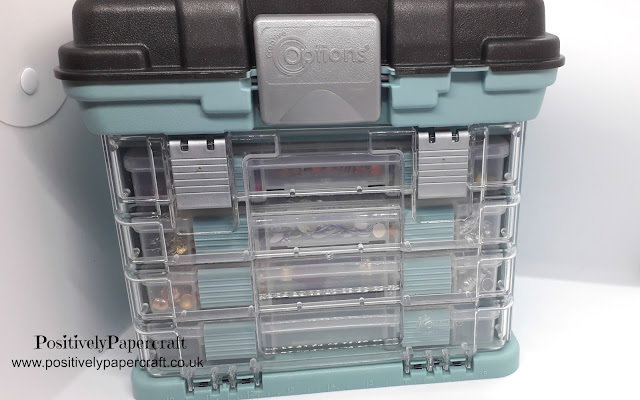 The small one has 4 storage boxes inside which has loads of little compartments to hold all your bits and bobs. The lid also lifts off and there is a good size storage space in there. I put my bottles of craft glitter in there. There is also a carry handle so its really easy to transport. I was sent the blue and black colour and you can also get it in pink and black. These storage systems are great for your craft room and i am sure that i will be going off to order the medium size or the Large. I just love the way they look and it looks so cute sitting in my craft room. Its also really good quality and i know you will love it to. Please check out my Youtube Video where you can see this storage system in action. I have put the link at the end of this post. I will be back on Wednesday with another tutorial.